It was a miracle. Most coma patients either recovered within a few days, or they never came back at all.Kayla Farrell had been in a coma for three long years. Everyone had given up hope--except for one courageous nurse who was willing to try anything to revive her patient!But waking up to the sound of her favorite actor’s voice was only the first step on Kayla’s long, arduous road to recovery.Alex Matthews, lead star of the award-winning series "The Bureau," had heard all the rumors. How this unknown little writer had been in a three-year coma, how the sound of his voice had pulled her back from death’s door. How the first word out of her mouth had been his character’s name. And how, despite all her infirmities, she’d written the most amazing script ever to cross a producer’s desk. The entire thing sounded too weird to be true.The prospect of dealing with a cripple scared the daylights out of him. 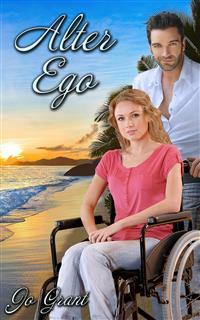 So when Kayla and her devoted nurse actually arrived on the exotic "Bureau" set to watch her movie being filmed, Alex found himself being forced to confront his deepest fears.Yet despite her confining wheelchair, Kayla Farrell was beautiful, vibrant, full of life. And try as he might, he couldn’t help being drawn by her clever wit, and her tenacious struggle to walk again.But Alex wasn’t the only one who enjoyed Kayla’s vivacious company. He’d lost out to his co-star Tommy Anders’ boyish charm before--but never when it had mattered so much.His timing for the camera was impeccable. But in his personal life, somehow he managed to botch it every time. Could he manage to overcome his fears, and win Kayla’s love, before their return to civilization separated them forever? rigit Flannigan was a nurse. And if she did say so, she was a pretty darned good one. She’d always had a special knack for sensing pain, and helping to ease it. As a child, she’d rescued and cared for scores of orphaned wild bunnies and sparrows. Some of them had actually survived her fierce dedication. Each one she’d lost had kindled her resolve to do better the next time. Then her carefree world had been shattered by their bitter divorce. And as neither one had any idea how to properly care for a ‘gifted’ child (which meant, in 21st century parlance, that neither could be burdened with a bright, energetic, inquisitive child), she’d been sent to live with her great-grandparents in Ireland. She wouldn’t realize it for many years, but that was the very best decision they could have made. Gran had worked with her, tireless despite her advancing years and crippling arthritis, channeling and nurturing that rare ‘special sense’ for helping and healing. It had run through their family tree for centuries, she’d told Brigit one afternoon while they’d been blending special herbs to soothe a neighbor’s rasping cough. Though occasionally, she’d added with a sigh, it did skip a generation. Brigit had vowed to make up for her mother’s many failures. So she’d devoted her young life to studying medicine. And while other girls had been boldly flirting with the village lads at the neighborhood harvest dances, she’d learned to concoct every herbal lotion and potion that Gran could teach her. She’d learned so well that she’d been able to care for Gran herself, after her great-grandfather’s passing, and ease her final years. And she’d have been perfectly content to remain in their humble little cottage after Gran passed away, peacefully in her sleep, at the advanced age of ninety-three. But then Gran’s equally-ancient barrister had shocked her with the news that money had been laid by, over the years, to finance her way through medical school. And that was a prize Brigit simply couldn’t ignore, even if it did mean leaving the home and land she’d come to love so well. So she’d waved a tearful goodbye to Ireland’s misty green hills, and returned to America, to attend college and begin her fledgling internship at the nearest local hospital. Every new day was a challenge that she’d met with stoic resolve, then—as she’d adjusted to life at a huge, bustling university—with rising enthusiasm. By the time she’d turned twenty-four, she was a full-fledged graduate nurse just starting on her medical degree. She had a good apartment, a great roommate, and an exceptional job at one of the most esteemed critical care facilities in the entire country. Unfortunately she also had a broken-down car that hated bad weather. When a raging storm had pelted across the sky that afternoon, she’d known her entire night would be a disaster. Some days, it just didn’t pay to climb out of bed. This was definitely one of those times. Predictably, “The Bomb” had refused to start. Its rusty old alternator got finicky when the humidity soared. And didn’t it just figure, her roommate—who could often be counted on for an emergency ride—was working late to cover for a co-worker on maternity leave. So she’d scurried through pounding rain for six endless blocks to catch the crosstown bus—and arrived just in time to see its red taillights fading into the distance. In theory, the bus was supposed to run every fifteen minutes. But with the current union strike in full force, reliable schedules were a fantasy. And of course there were no dry bus shelters within a mile of her stop. So she’d gotten to work late, soaked to the bone, and was still running behind. Normally she’d have spent time with each of her ‘special’ patients, those who were recently disabled or struggling with some physical trauma. Her college mentor had once remarked that the patients with the greatest challenges to overcome posed the most intriguing challenges to their caregivers. Brigit enjoyed challenges, and had never forgotten that casual comment. Where other nurses jockeyed for easy assignments, she specially requested the ‘hopeless’ cases. The satisfaction of each small breakthrough outweighed the daily frustration of never being able to do quite enough, quite fast enough. The coma case in Room B14 was her favorite. She found it oddly soothing to sit with her silent patient every night, trying to breach that dark barrier of futility. The other nurses had given up trying to reach whatever feeble awareness might still be hovering nearby. It had, after all, been nearly three years since the woman had been rushed in, unconscious and covered in blood, on a rainy night even wilder than tonight. Most patients either regained consciousness within a few days, or they never returned at all. Part of her affection stemmed from the fact that B14 had been one of her very first emergency room patients. She’d only been on staff at Orlando Regional for two weeks when the frazzled paramedics had arrived, dripping wet, just after midnight. She’d been horrified by the sight of a young woman literally drowning in her own blood, her face totally destroyed by flying glass and debris. Brigit had pulled herself together, and stuck it out. The woman had suffered massive injuries to her head, spine, and chest cavity. Her heart, liver, and kidneys had been damaged beyond repair. Brigit herself had manned the paddles when she’d gone into cardiac arrest. And somehow, whether through their stubborn dedication or her own inner strength, they’d pulled her through that first touch-and-go crisis. Doctors had worked round the clock to maintain that miraculous thin thread called life. And Brigit Flannigan, the newbie nurse with almost no actual hands-on field experience, had found herself inside a gleaming operating theater with four of the world’s top-ranked surgeons, just because she’d refused to give way when they’d rushed ‘her’ patient upstairs. She’d made herself useful, so they wouldn’t banish her from the theater—and had performed her duties so well that no one, amidst the barely-controlled panic, had realized she wasn’t a veteran nurse. It was only later, after the patient was stabilized and carefully transferred to the Coronary Care Unit, that she’d learned the whole story. Anthony Templeton, son of pharmaceutical mega-tycoon William Templeton, had been driving too fast on the rain-slickened interstate just east of Orlando. Somehow he’d lost control of his zippy little sports car, and had spun twice right through the grassy median. A grim twist of fate had sent him careening into an oncoming station wagon, forcing it off the road and down a steep embankment. After rolling several times, it had smashed into a wooden telephone pole, which had splintered and toppled through the battered roof. Anthony’s little red speedster had ricocheted back from the impact, spun another three or four times, and come to rest against the center guard rail. He’d been examined at the scene, then released. Not even a bruise had marred his pale rich-kid’s face. By all rights, there should have been no survivors. Templeton should have died on that treacherous road, just another faceless victim of teenage rebellion, raging hormones, and reckless driving. Brigit figured his guardian angel must have grey feathers after pulling off that little miracle. The EMT’s had been stunned to find the other driver still just barely alive, despite being half-crushed between the steering wheel and the crumpled roof. She’d been immediately airlifted to Orlando Regional for emergency treatment. Perhaps it was just another bizarre twist of fate that the other adult in B14's car—her beloved husband—had been deemed a suitable emergency organ donor. Three hours after that deadly crash, Patrick Farrell’s healthy heart, kidneys, and liver had helped to keep his wife alive while her own traumatized body had fought to stabilize. Fortunately William Templeton was an honorable man. His gigantic pharmaceutical company ranked high among the world’s most successful industries. Few other men could—or would—have pulled so many strings so quickly, just to save the life of an unknown accident victim. Brigit hadn’t seen him arrive at the hospital, with his penitent son in tow. She’d been up to her elbows in blood, sponging and suctioning and praying that she wouldn’t betray her inexperience by handing someone the wrong surgical instrument. But she’d heard about it later from just about everyone, from the lowliest janitor to the ER doctor who’d reamed her for leaving her post—before officially praising her quick and competent behavior. William Templeton in a cold fury made a raging hurricane look tame by comparison. In short order, he’d rousted everyone from the hapless night clerks to the lofty head administrator himself. Only the very best would do for this poor woman, and he had the money and the clout to make people jump. All her medical expenses, current and ongoing, were to be paid in full. And since she had no living relatives, Templeton’s battalion of lawyers woke a high-ranking judge in the middle of the night, and petitioned him to appoint Templeton as her legal guardian. Skilled surgeons repaired the extensive damage to her body. A team of brilliant plastic surgeons rebuilt her mangled face. Physical therapists worked every day to keep her lax muscles and tendons from atrophying. The days and nights passed in a blur of bright lights, surgical procedures, and blinking readouts. Sophisticated technology monitored Kayla’s every breath and heartbeat. She saw none of it. Her consciousness remained lost, drifting in the endless void. Days turned to weeks, and weeks to months. Every Saturday, Anthony Templeton visited the exclusive medical facility where she’d been moved, bringing flowers and books which he read to her, holding her cold limp hand in his, willing her back to life. He always cried before he left. But he always came back. Everyone thought she was crazy, maybe even obsessed, to cling to a patient who hadn’t the slightest chance of making a full recovery. Even she couldn’t explain why it was so important. But Brigit had been the first one to lay hands on Kayla Farrell, back in that sterile little emergency room. She’d helped, in her own small way, to save her life in that frenzied operating room. And she’d worked exhausting double shifts just to stay close, while her first real patient had hovered in that hazy no-man’s land between life and death. Kayla Farrell was hers. And whatever happened, she’d see it through to the end. So Brigit had slaved, and studied, and made herself completely essential—then had called in every favor she was owed, when Kayla was transferred to the renowned Armstrong Memorial Clinic. The director had been dubious about hiring a freckle-faced Irish redhead who looked entirely too young to be a skilled nurse. But Brigit’s spotless record and innate enthusiasm had swayed the balance, and she’d been cautiously accepted for a month’s trial. Three years later, Kayla Farrell was still receiving the best available medical attention. Brigit saw to that. Normally—if she wasn’t running so horribly late—she’d sit with Kayla for a few minutes, quietly talking, telling her what was happening in the outside world. Those peaceful moments helped pull her own life back into a focus she often lost, when she was working so tirelessly in the trauma ward. And she truly believed that even though all the efficient high-tech machines said otherwise, somehow her comforting words were being absorbed. She enjoyed brushing Kayla’s lackluster auburn hair, and rubbing her Gran’s special healing cream on her pale hands and face. A faint trace of beauty lingered beneath her waxy pallor and sunken cheeks. Brigit was determined not to let it fade away completely. But tonight she simply couldn’t spare the time. So she ruefully flipped on the TV, brushed an apologetic kiss on Kayla’s cool forehead, and resisted the impulse to watch a few minutes of her favorite adventure show. Beep, beep…beep, beep. The monitors sang out their lonely rhythmic song as she turned to leave. Beep, beep…beep, beep. She was almost through the narrow doorway when it happened. Brigit spun around and stared. Nothing had changed. Kayla was still motionless. The tireless machines were still forcing air into her lungs. Her brainwave was still a sluggish green squiggle moving across the sensitive monitor screen. She might have imagined it—but Brigit Flannigan couldn’t walk away without being certain. Cautiously she approached the purring device, and printed out a detailed report. Her hands began to tremble as she traced the spiky graph lines with one slender finger. There! She hadn’t imagined it! A single short spike in Kayla’s brainwave readout! “I knew you could do it!” Grinning with delight, she squeezed Kayla’s limp hand, then spun away to summon the doctor on staff. On the television, her favorite show continued to play. The spikes continued, in an irregular pattern, for nearly an hour. Then they stopped. Dr. Romano shook his head in grim despair, and returned to his office to finish the big speech he was giving in a few days at the annual A.M.A. convention. The nurses shook their heads in pity, both for Kayla Farrell and the devoted young woman who was so hopelessly obsessed with her care, and returned to doling out evening medicines. Brigit sank down into the chair by Kayla’s bed, and wanted to cry with frustration. Somewhere inside that thin motionless body, a helpless mind was struggling to return. She knew it, could feel it, with all the boundless empathy her granny had once praised. Okay, maybe she was obsessed. And maybe it was selfish! But Kayla Farrell was hers. Her case, her patient, her commitment. She wanted to be the one to break through, to establish a link. Something had triggered a response in her patient, but what? Let them all whisper about her in the break room, and cast pitying eyes in her direction! She didn’t care. And she wasn’t giving up. Not until Kayla did! So the next night, she carefully recreated the entire scene. Hurry into the room a half hour late, turn on the TV, kiss Kayla’s pale forehead. And to set the stage precisely, she’d even brought along a copy of last night’s TV program, which she popped into the DVD player. Then she hovered in the doorway, watching, praying for a miracle. “The Bureau” was a popular, exciting show already in its fourth season. Brigit loved its distinctive musical score, its intriguing plots, its clever and talented actors. It had all the elements of a perfect adventure show—plenty of excitement, brain-teasing whodunits, and just the slightest hint of romance between Quinn MacAllister and his lovely partner, Mariah Conners. Alex Matthews, who played MacAllister, had just been voted People Magazine’s Sexiest Man of the Year. It was easy to understand why. His thick coal-black hair framed an angular face that was neither rugged nor patrician, but an intriguing mix of both. Deep navy blue eyes reflected an agile mind and ready sense of humor. He was tall, muscular, and utterly irresistible when he spoke with that faint, charming hint of Texas drawl. No matter where he went, women flocked to his side. Alicia Huntington, his elegant costar, was the perfect foil for his dark, mysterious appeal. Though slender and petite, she radiated strength and a vibrant energy that had quickly made her Hollywood’s newest darling. Vivid, slanting emerald eyes and rich golden-red hair bespoke her Gaelic heritage. Her voice was low and clear, refreshingly free of the sultry overtones cultivated by most aspiring actresses. She looked fresh and clean, not slutty and oversexed. And America, which was finally growing disgusted by a ceaseless parade of wanton celebrity vamps, had welcomed her with open arms. Young women yearned to be like her. Young men simply yearned to be with her. Ever since the series premiere, trashy gossip magazines had been inventing lurid tales about her ‘wild escapades’ with Alex Matthews. And six months later, when his fairytale marriage to starlet Cheryl Anne Monroe had collapsed, they’d burned the presses, swearing that she’d been responsible. Those vicious rumors had never been confirmed…but in true Hollywood style, neither had they been denied. Nearly four years later, their names were still linked on every corner newsstand. Matthews and Huntington were hot items. And their award-winning series reflected their personal popularity. MacAllister and Conners were larger than life, quick and witty, utterly devoted to each other and their dangerous assignments. Excellent screenwriters, Brigit knew, but that didn’t lessen the dramatic impact, or the way her heart raced, each time they appeared onscreen. She had every single episode of “The Bureau” recorded, and could quote whole sections from memory. Last night’s episode, which she’d watched once she got home early this morning, had been a cliffhanger, and she could hardly wait to see how it turned out. Beep, beep…beep, BLIP.Beep, BLIP.Beep, BLIP. Brigit’s nimble hands began shaking. Sweet Mother of God, it couldn’t be that simple! Could it? Why not? Her mentor had said that every new avenue was just an angle they hadn’t yet explored. Hadn’t he encouraged her to think outside the box, to experiment with unusual types of stimuli? And what could be more appropriate for a patient who’d once been a writer? She knew Kayla’s personal history just as well as she knew her own. Anthony Templeton’s father had spared no expense there, either. Every detail about Kayla Farrell’s quiet life, from birth to present, was laid out in terse black and white for anyone who cared enough to look. Though she’d had to skirt a few rules, Brigit had made a copy of Kayla’s official file, converted it into a big PDF file, and downloaded it to her beloved Kindle. She carried it everywhere with her. Somehow she was going to find the key, and reach out to the lost mind she could feel struggling to return! While MacAllister dodged bullets on the screen above her head, she reviewed those familiar notes again. And almost instantly, found just what she’d been looking for. Nodding with satisfaction, she reached for the phone. Nancy gulped, and gingerly lowered herself into the chair farthest from Kayla’s bed. She was a secretary, not a nurse. And she admired Brigit’s tireless dedication. But dead people made her twitchy. And this one, whose frail body was nearly hidden beneath glistening tubes and wires, looked like she’d been dead a long time. Palms sweating, she zipped through the episode. There, where MacAllister was explaining a new case to Conners. Plenty of dialogue in that scene. She pushed the Play button, and turned to stare at the EEG. Beep, beep. Beep, beep. Beep, BLIP.Beep, BLIP.Beep, BLIP. Trembling, she fast-forwarded to another long exchange. Beep, BLIP.Beep, BLIP.BLIP, BLIP.BLIP, BLIP.BLIP, BLIP. They thought she’d lost her mind, she could see it in their eyes. Her legs were shaking so badly, she could barely stand. “Watch, now! Just watch!” she pleaded, and pushed the Play button again. It took two tries before her fumbling thumb could hit the right switch. MacAllister’s rich voice boomed out of the television. Two top neurologists, a brain surgeon, six nurses, and four doctors stared dubiously at the humming EEG. Twenty minutes later, Kayla Farrell slowly opened her eyes, and stared in blank confusion at the jubilant people crowding around her bed. o matter how hard she’d worked, or how many times she’d daydreamed about receiving that magical phone call, the thrilling reality still left Kayla stunned and speechless. Fortunately her literary agent was quite used to incoherent stuttering, and merely chuckled. “He accepted your screenplay.” Susan’s smug reply blended amusement, satisfaction, and just a touch of reluctant admiration. “A courier’s on his way to you right now with the signed contracts. I’ve already examined and approved them, but you’ll still want your attorney to review them. “Now Kayla, don’t you sign anything unless you’re completely satisfied with the terms,” she cautioned. “I mean that. Nothing’s carved in stone yet, and we can still negotiate on the fine points. “Most importantly, don’t let him weasel you out of visiting the set.” Her clipped voice became unexpectedly stern. “Jerry’s moody even by Hollywood standards, he hates having to tap outside talent, and he despises opening the set to anyone. “But that’s just tough. Writers visit their movie sets all the time. So if that’s what you want, you fight for it! “You do that. And fax me with the changes. She couldn’t remember what else they talked about before Susan hung up. It was all a blur. Three long years of arguing, begging, and pleading with potential agents had just paid off. Never again would she have to spend another thankless hour abasing herself, or traveling to intimidating writer’s conferences, just to persuade someone to give her a chance. Jeremiah McCormick, owner and executive producer of “The Bureau,” had bought her screenplay! He was going to make a silver-screen motion picture, using the words and sweat and tears she’d created! A wild laugh bubbled in her throat as she spun her wheelchair in a tight circle, then grabbed the phone again. The news was simply too spectacular to keep! “Brigit!” Damn it, when would she remember that her best friend still worked the night shift? “Sorry, I didn’t mean to wake you. I’m… No, I’m fine! Really, Brigit, I am! I’m better than fine! She fell back in her chair, breathless, and shook her head in wondering disbelief. “I’ll get to meet them, and see it all happening! We’ve done it! There was no answer to her jubilant outburst. To an outside observer, Kayla was alone on the cozy sunlit patio, gaily talking to herself. But the outside observer would have been wrong. She hadn’t been alone even once since she’d woken in that noisy hospital room, three full years ago. Patrick’s discarded body might be lovingly interred five miles away, beneath a sloping green hillside at beautiful Bayside Memorial Gardens. But his essence, his soul, was always with her. Sometimes she could almost see his familiar shadow stretched across the shiny wood floor, or feel his big hand brushing hers in a comforting caress. He was her guardian angel. And she couldn’t have survived or triumphed this way without him. Tiny dust motes glittered in the warm summer air as she spun her wheelchair around, and glided into the spotless kitchen. An instant later, Brigit hurled the front door open, and dashed in. Unnoticed, the hazy sunbeam faded away behind a passing cloud. Kayla took a deep breath, and nodded. Just envisioning stolid, dour Jeremiah McCormick with a pen in his big blunt-fingered hand made her heart race! “He really did! Susan’s already reviewed them, and a courier’s delivering them to me in a few hours. As if, Kayla thought with another buoyant laugh, she’d wasted away since yesterday’s grueling physical therapy session. God knew, sometimes she felt like Monica’s pitiless machines were going to kill her. But right now, she’d never felt stronger in her life. Brigit was right. She’d come a long, long way from that sterile hospital room. And even though she’d fought and struggled for every small triumph, sometimes even Kayla was amazed by how much her life had changed. The months following her shocking recovery had been traumatic. It had taken several days before she could even sit up, and nearly two weeks before her stomach could tolerate solid food again. The nausea she’d suffered during that period had been appalling! Then she’d had to learn to move again. First her hands, and then her arms. It was exhausting work, and she couldn’t count the number of times that bone-deep fatigue had made her burst into tears, and wonder why she hadn’t just died. She would rather have died than survive like this—crippled, alone, a pathetic charity case dependent on someone else’s mercurial goodwill. Brigit had stood by her during those difficult weeks, alternately soothing and encouraging. No one else had believed that Kayla would ever walk again. But then, no one else had believed that she’d recover from her coma, either. And she was determined. Someday, somehow, she was going to help Kayla accomplish the impossible again…even if Kayla’s worst enemy was Kayla herself. Somehow she got through the days. From dawn to dusk, she was surrounded by nurses, technicians, and physical therapists who all laid claim to her waking hours. They pushed, prodded, stretched, and badgered her until she forced her weak muscles to move. There was no escaping them and their well-meant daily tortures. But at night, in those lonely dark hours when she was alone, she had ample time to remember…and to understand that she should have died with Patrick in that awful crash. And would have, if anyone but Anthony Templeton had been at fault. The world-renowned Templeton Pharmaceutical empire could pull strings most men didn’t even know existed. At William Templeton’s command, gifted surgeons had repaired the shattered vertebrae in her spine, replaced crushed organs, healed the ugly lacerations where glass and metal had slashed through her fragile skin. Then they’d gone one step too far. Instead of using her wedding photos as a guide, they’d chosen a glamour picture she’d had made for Patrick—one that made her look much more beautiful than she’d ever been in real life—to reconstruct her mangled face. Okay, maybe they’d made an honest mistake. She knew that they’d meant well. And certainly it beat the hell out of looking like the Bride of Frankenstein. But despite their good intentions, waking up with a stranger’s face had only made her recovery and adjustment that much more difficult. Wasn’t it bad enough that she’d lost three whole years of her life? Or that extensive nerve damage to her spinal column had left her lower body lifeless? The doctors wouldn’t admit it outright, but she knew they didn’t believe that she’d ever regain the use of her long legs. Worst of all, she was alone. Her parents had died years ago, and she’d never had any siblings. Patrick and Sean had been her entire life…and now they were both gone forever. Patrick had been her high-school sweetheart, her only lover, her very best friend. The brutal loss of her husband and young son, all in one swift stroke, threw her into a black depression. Her reaction was a perfectly normal response to tragedy, so the hospital psychiatrist arranged for a discrete suicide watch until she adjusted. Weeks passed while she brooded, withdrawn and unresponsive even to Brigit’s gentle care. It seemed that her whole life had come crashing down around her ears. Everyone she’d loved was gone. Like the little boy in the story, she’d been left behind to suffer and mourn in solitary misery. If there was nothing left worth living for, why couldn’t she just die? Didn’t she deserve something better, even if it was only the sweet solace of death? The final blow, learning that Patrick’s kidneys, liver, and heart had been transplanted into her shattered body, nearly broke what remained of her flagging spirits. As long as she lived, the most important part of him would live on. In a uniquely special way, now he would always be with her. That should have helped to ease her wracking grief. Instead, it threw her even deeper into dark despair. She began to imagine that she could hear Patrick’s low, gentle voice in her ear even when she was awake. That path led to insanity, a road even worse than simple death. Frightened, she tried blocking him out. It didn’t work. He was too much a part of her, too deeply ingrained in her mind and her soul. Finally she gave into the madness, if madness it was, and allowed herself the tenuous comfort of what love and affection his ghostly voice could still offer. She barely even noticed when Brigit began massaging her back and legs with warm, fragrant oil every day after her grueling therapy sessions were over. Very little could penetrate her melancholy gloom. She just wanted to be left alone, to grieve and—if she was very lucky—to slip back down into the quiet solace of eternal sleep. Ironically, it was Anthony who finally broke through her deep, keening anguish. He still visited every week, bearing flowers, books, fruit baskets, boxes of candy. Kayla despised everything about him, from his neatly trimmed golden hair to his expensive preppy clothes to his athletic all-American college face.